Chelsea yesterday blew away a chance to move to third place in the English Premier League after they were held to a two all draw by stubborn Burnley at the Bridge. Burnely were first to find the back of the net through Jeff Hendrick but the Blues responded with two quick goals from N’Golo Kante and Gonzalo Higuain. However, the visitors were back on level minutes later through Ashley Barnes. The Blues pushed for a winning goal but the Clarets held to secure one point. The draw moves Chelsea to fourth place in the league table. Amid the chaos, Burnley celebrated, having dug in and fought hard for the draw which took them to 40 points and all but ensures they will playing Premier League football for a third successive season. Chelsea grumbled about ‘anti-football’ as they squandered the opportunity to put pressure on their top-four rivals after a weekend when Tottenham, Arsenal and Manchester United had all lost. A point is added to the total and they remain in the hunt for the Champions League but this setback was deepened by concerns over an injury to Callum Hudson-Odoi, who was forced off in the first half with an achilles injury. ‘Wow!’ Jurgen Klopp said simply, with a telling smile. ‘It blew me away.’ Liverpool’s manager was not alone in being left dumbfounded by what he saw. It was a glorious and the moment needs such a description because it may yet turn out to be the pivotal incident in what is the highest quality title race the Premier League has ever seen. 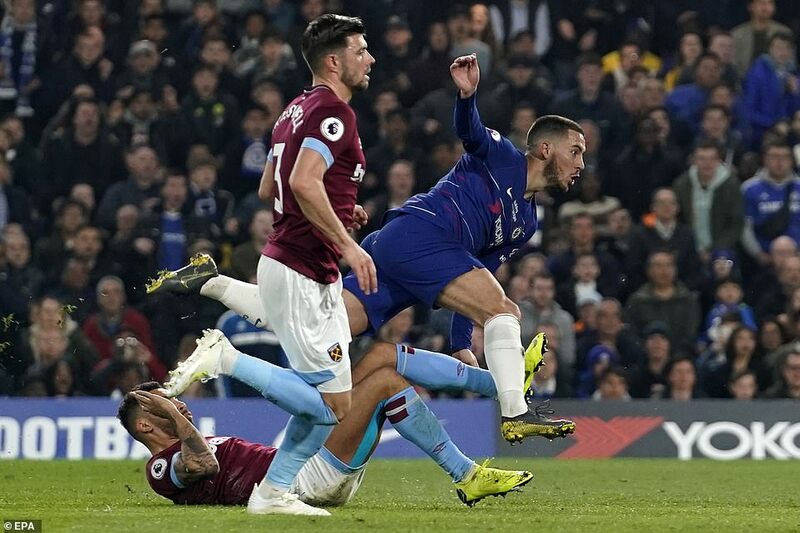 Eden Hazard grabbed a brace, including a contender for goal of the season, to give Chelsea a vital 2-0 win over West Ham to move them up to third in the Premier League. The Belgian showed superb skill dribbling past three West Ham players to score a 24th minute opener, before adding a second with another sublime finish in the 90th minute. The blues are now two points above Tottenham and three above Arsenal as the race for a Champions League place intensifies, having played an extra game. Chelsea will miss him if he goes. We all will. Even by Eden Hazard’s elevated standards, this was on an altogether different plane. 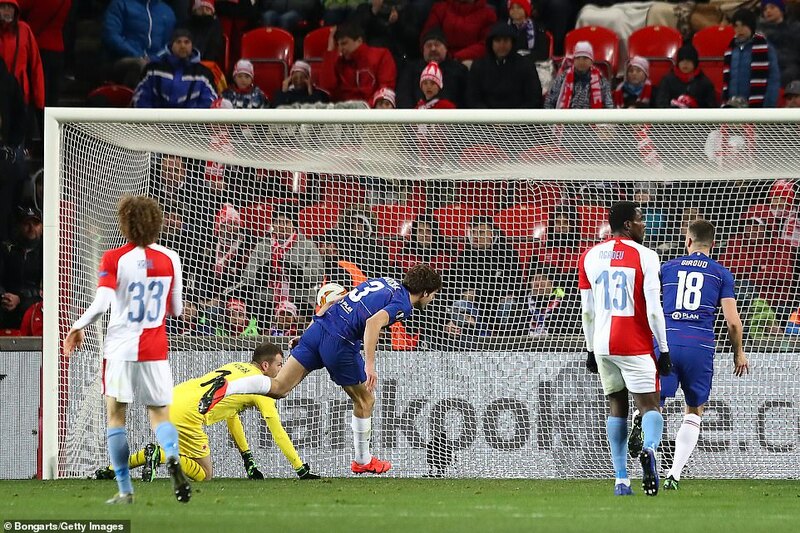 His manager Maurizio Sarri described his brilliant Belgian as irreplaceable. He’s not wrong. Not that Mark Noble, Declan Rice, Fabian Balbuena, Angelo Ogbonna and Ryan Fredericks appreciated his splendour. Hazard left all five in his wake to score a mesmeric solo goal which invigorated Chelsea’s hopes of Champions League qualification. 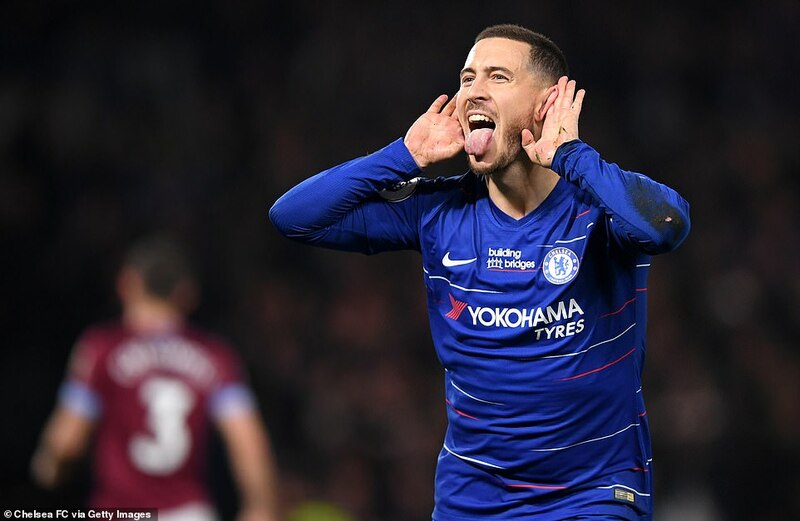 No doubt, the Hammers’ embarrassed quintet won’t be the only Premier League stars who’ll be glad to see the back of him if – as is looking increasingly likely – Hazard signs for Real Madrid this summer. There are still hurdles to overcome before the Belgian becomes a Galactico – namely Chelsea’s £100million valuation – but Real want Hazard and, unfortunately for Chelsea and English football, Hazard wants Real, though the Belgian insisted after Monday’s game that he is still to make a final decision on his future. We’ve seen this story before, we know how it ends. We must appreciate him while he is still here. Here at last was a glimpse of what Everton could be under Marco Silva. Smart aggressive, energetic and inventive; not to mention clinical. They only managed it for half an hour but against this inconsistent and maddening Chelsea team it was enough. So this was a big win for Silva, maybe his biggest of his up and down first season at Everton. He was brought to lift people from their seats like this. There has not been nearly enough of it over the course of the year but here his team recovered from a flat first half to overrun Chelsea. Really poor for 45 minutes, Everton improved beyond recognition and scored twice – through Richarlison and Gylfi Sigurdsson – in the space of 25 minutes to remind us just what an atmospheric place Goodison Park can be when the home team’s blood is up. For Chelsea and their coach Maurizio Sarri, it was all greatly disappointing and a little familiar. Chelsea have recovered a little since they were dismantled by both Manchester clubs in February. Indeed, in the first half they were the better team by a distance, completely controlling the game. But once Everton emerged for the second period seemingly determined to show themselves in a better light, Chelsea could not cope and this is does not say terribly much for their depths of reserve. Some of Chelsea’s performances this season have caused people to ask just how much they care for their Italian coach. This was not one of those days but, still, their reaction to falling behind was not good enough. 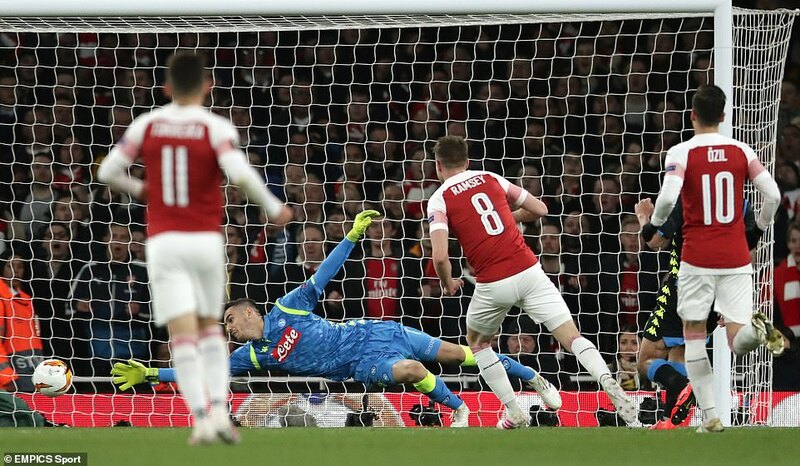 This was an opportunity to move level on points with Arsenal in fourth place and that they ultimately failed by such a distance suggests this is a group of players missing something very important as the tussle for the Champions League places intensifies. Liverpool yesterday thrashed Watford five nil to remain on top of the league table and a point ahead of rivals of Manchester City. Two first half goals from Sadio Mane put the Reds on the driving seat with Divock Origi and Virgil van Dijk added three more goals after the break. Meanwhile, Sergio Aguero’s penalty was enough to give City a one nil win over West Ham. Manchester United bounced back to winning ways with a 3-1 win over Crystal Palace with Romelu Lukaku getting a brace. Arsenal were in sensational form as they thrashed Bournemouth 5-1 courtesy of goals from Mesut Ozil, Henrikh Mkhitaryan, Aubameyang, Laurent Koscielny and Alex Lacazette. Across London, Chelsea put behind their Carabao Cup final woes as they dimmed Tottenham’s title hopes with a two nil win at the Stamford Bridge. The defeat to Spurs now means that the title race is now between two horses; Liverpool and Manchester City. It has taken until the end of February and a week before Shrove Tuesday, but finally the race for the 2018-19 Premier League title is a two-horse affair. After 180 goalless minutes against Bayern Munich and Manchester United, Liverpool surged back to their attacking best with five goals against Watford. Battered and bruised from 120 gruelling minutes in the Carabao Cup final, Manchester City escaped from the visit of West Ham with three points thanks to a Sergio Aguero penalty. 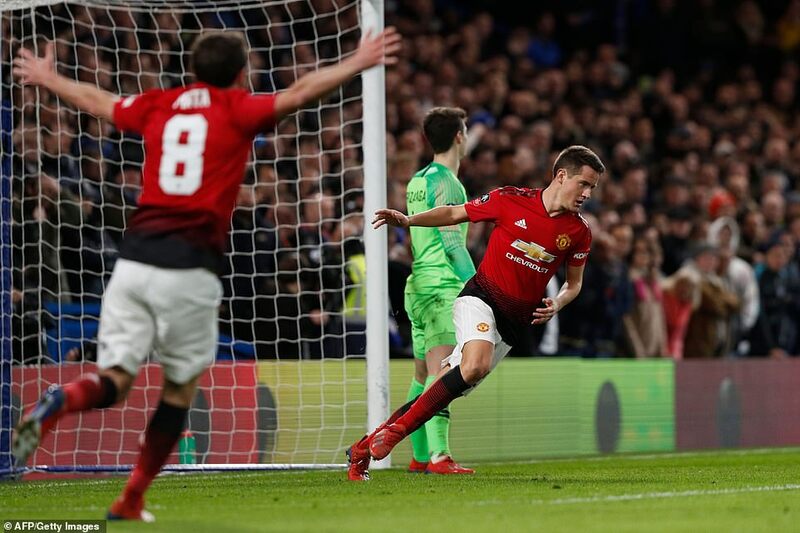 Manchester United yesterday bounced back to winning ways with a two nil win over Chelsea to advance to the quarter finals of the FA cup and pile more pressure on under fire Blues manager Maurizio Sarri. Ander Herrera opened the scoring for the Red Devils following Paul Pogba’s cross and minutes later, Pogba headed in Marcus Rashford cross to give United a two nil lead at the break. Chelsea efforts to get a breakthrough in the second half were frustrated as United held on to secure their first win at the Bridge since 2012. United will play Wolves in the quarter finals while Manchester City will take on Swansea City. United were better and appear to have been liberated by Solskjaer as much as Chelsea seem weighed down by Sarri’s dogma. His second half substitutions – the inevitable Ross Barkley-Mateo Kovacic switch, plus full-back Davide Zappacosta for Cesar Azpilicueta – bought equal parts mockery and outright disdain, with Callum Hudson-Odoi again imprisoned on the bench. ‘You don’t know what you’re doing,’ sang the locals, but that’s just the problem. He does. It’s just that what he is doing is increasingly unsuccessful and maddeningly repetitive. The same moves, born of the same principles, repeated endlessly with diminishing returns. United focus now shifts to Sunday’s mega match against Liverpool while Chelsea will take on Manchester City on the same day in the Carabao Cup Final. The use-by date on Chelsea managers is always short, but in the case of Sarri matters have deteriorated at an alarming rate. The club’s chairman, Bruce Buck, sat in on his pre-match press conference this week in Malmo, then Buck took the peculiar step of going pitchside on Thursday evening to get a close view of Chelsea’s warm-up drills. The players’ senses are tingling. One confided in his adviser this week that he expected Sarri to be sacked if the club fail to win at least one of their next two games — against Manchester United in the FA Cup, and Manchester City in the Carabao Cup final. Ultimately, the decision will not fall to Buck. Director Marina Granovskaia runs the show and she will make recommendations to owner Roman Abramovich, if he does not beat her to it. Sarri admits he has not heard from Chelsea’s Russian owner in the past three weeks, and the growing impression is that of a club whose troubles extend beyond the dugout. Manchester City bosses apologised to Chelsea after the west London club’s anthem ‘One Step Beyond’ was played after their 6-0 drubbing on Sunday. Pep Guardiola‘s side tore their opponent’s to pieces as they returned to the top of the Premier League table. If the result alone was not hard enough for Chelsea fans to take, exiting the stadium to the sound of Madness’ ‘One Step Beyond’, a club anthem at Stamford Bridge, compounded the misery. According to the Evening Standard, City officials demanded the song be cut short and were quick to say apologise to the visitors for what many perceived as an act of gloating. The song is regularly played after Chelsea win matches at Stamford Bridge and so hearing it after a 6-0 demolition left a bitter taste. It was swiftly cut short but fans quickly took to social media to hail the person in charge of City’s PA system. The humiliation had started long before the Madness track rang through the speakers as Sergio Aguero collected his second successive hat-trick at the Etihad. Aguero is in a rich vein of form right now and could have scored more with Chelsea unable to nullify his threat as City were 4-0 up after just 25 minutes. Raheem Sterling scored the opener after four minutes, a sign that it was going to be a long afternoon for Maurizio Sarri’s side. Aguero made it 2-0 nine minutes later with a stunning strike from distance and pressure was mounting with every goal conceded on Sarri. Ilkay Gundogan got in on the act as Guardiola’s side continued to keep the pressure on title rivals Liverpool following their win over Bournemouth at Anfield. Chelsea now need to haul themselves off the canvas for Thursday’s trip to face Malmo in the Europa League before taking on an in-form Manchester United in the FA Cup. Maurizio Sarri is battling to save his job after Chelsea were thrashed 4-0 at Bournemouth on Wednesday night. The Italian, brought in from Napoli in the summer to replace Antonio Conte, has been under pressure with his team falling well adrift in the title race and Wednesday night’s reverse saw them drop out of the top four. 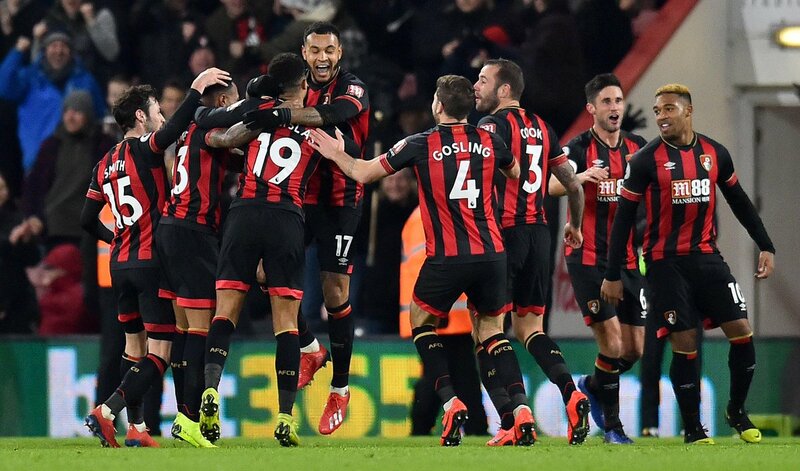 Josh King scored either side of a fine David Brooks goal at the Vitality Stadium, before Charlie Daniels added a fourth as Eddie Howe’s team condemned the visitors to a second consecutive Premier League defeat. Following the match, Sarri said: ‘I feel frustrated. Not under pressure. I didn’t see the signal of my work. So I am frustrated. Sarri had left Callum Hudson-Odoi out of the squad — seen as a rap on the knuckles for the youngster for eyeing a move to Bayern Munich — and new signing Gonzalo Higuain looked horribly out of touch. With Arsenal leap-frogging Chelsea into the Champions League positions, a place in the Carabao Cup final against Manchester City next month may not be enough to save Sarri given owner Roman Abramovich’s renowned lack of patience. 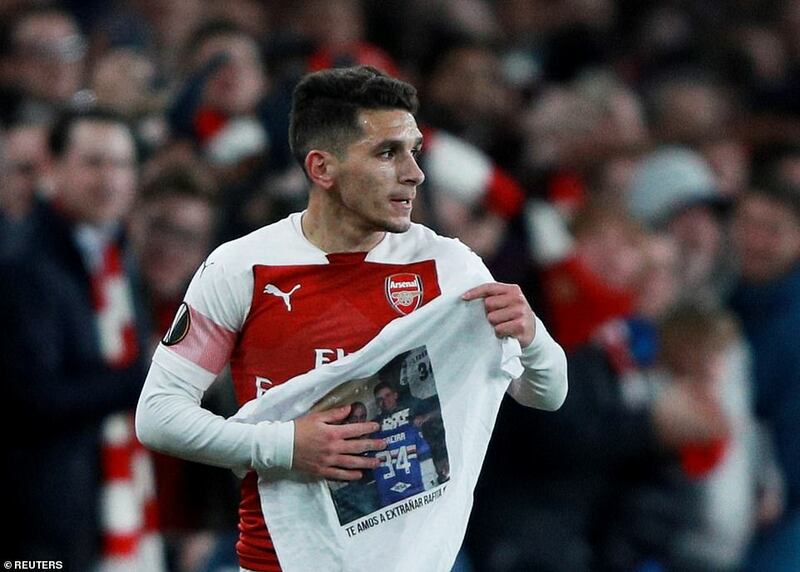 Chelsea fans turned on him during the game with a chorus of boos after the final whistle. According to reports, Sarri was still locked in the away dressing room with his players 40 minutes after the full-time whistle at the Vitality. The 60-year-old removed his coaching staff from the room, ensuring it was just himself and his players. Meanwhile, Liverpool failed to capitalize on Manchester City’s misfortunes to extend their lead at the top of English Premier League table to seven points as they were held to a one all draw by Leicester at Anfield. Sadio Mane opened the scoring for the reds in the 3rd minute but the Foxes responded at the stroke of half time through Harry Maguire. The draw leaves them ahead of City by five points. Elsewhere, Tottenham beat Watford 2-1.